Ethiopia Vs Uganda at National Stadium, Addis Ababa. 2nd Leg 6th April 2019: Uganda Vs Ethiopia at StarTimes Stadium Lugogo, Kampala. USA based forward Sandra Nabweteme and defender Yudaya Nakayenze arrived in the country last night aboard SN Brussels ahead of the 2020 Tokyo Olyimpics qualification double header against against Ethiopia. The former Kawempe Muslim lethal forward was excited to reunite with her teammates after nearly four years and rallied them to play as a team if they are to pick up positive results off Ethiopia. Crested Cranes head coach Faridah Bulega now has a full squad of 30 players following the arrival of the duo. 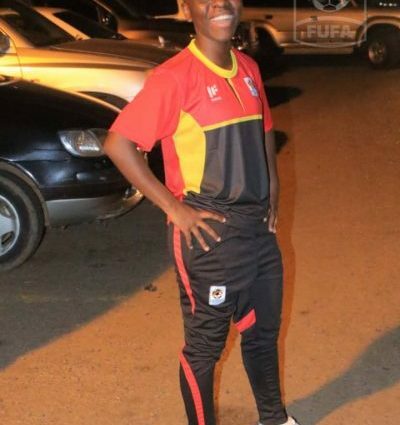 Another foreign-based player Fazila Ikwapu arrived on Sunday evening and started training with the rest of her teammates on Monday. The team changed the training environment from the artificial turf in Njeru to grass pitch at the The Mighty Arena-home of Uganda Premier League side-K-Jinja SS FC. Bulega is expected to name her final squad this weekend before traveling to Ethiopia on Monday, April 1st for the first leg game on April 3. Midfeilders-Phionah Nabbumba (Ajax Queens), Tracy Jones Akiror (Kawempe Moslem), Teddy Najjuma (UCU L.C), Shamilah Nalujja (Isra Academy), Fausia Najjemba (Isra), Lilian Mutuuzo (Kampala Queens), Anitah Namata (Kawempe Moslem), Susan Atim (Olila HS), Ritah Nabbosa (Lady Doves).